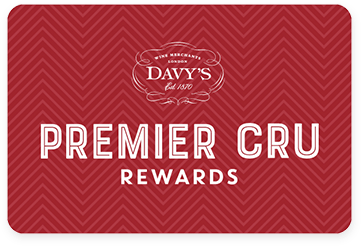 Premier Cru Rewards - Purchase this today and earn 35.85 points to redeem for free wine and gifts. Casa da Passarella wines are a landmark in the Dao region and was voted one of the 2018 Top 100 Wineries In The World in Wine & Spirits Magazine. Made from indigenous grape varieties, their wines stand out for their freshness and mineral character. The Somontes range is sourced from higher altitude vineyards situated in the Serra da Estrela. Touriga nacional, Tinta Roriz, Alfrocheiro and Jaen grape varieties produce a wine full of red berry fruit aromas with earthy undertones. Fermented in stainless steel with no oak aging. Elegant with a firm acidity and grippy tannins. Casa da Passarella produces wines under different labels that have become a landmark in the Dao region. Focusing on growing indigenous grape varieties, this 150 years old winery was founded by Amand d’Oliveira who made his fortune in Brazil before coming to the Dao region. After building a beautiful villa in Lagarinhos, he decided to surround it by an impressive 200 hectares of vines. In 2007, Ricardo Cabral took over the estate. His first priority was to rebuild the winery. He then hired consultant winemaker Paulo Nunes who likes to produce wines that stand out for their freshness, mineral character and longevity. Paulo was one of the first to recognised the advantages of the higher altitude vineyards situated in the Serra d’Estrela (700-800m high compare to the other Passarella’s vineyards at 400-600m), where their newest range Somontes is sourced from. Casa da Passarella was voted one of the 2018 Top 100 Wineries In The World in Wine and Spirits Magazine. View our selection. Today the 60 hectares of vineyards are planted with a variety of local grape including Touriga Nacional, Tinta Roriz, Jaen, Alfrocheiro, Encruzado, Malvasia Fina, Cerceal, Uva Cao, Baga, Alvareo, Rufete, Negra Amore, Tinta Cao, Moreto, Tinta Penerha/Rufete. Oak is rarely used to mature the wines.